Tuesday’s primaries show that from universal healthcare to early childhood education and taxing the wealthy, progressives are winning the battle of ideas in the Democratic Party. In California, we can see the outline of an alternative vision to neoliberalism and Trumpism shaping political debates—and the Democratic Party—on a statewide scale. California is setting the agenda for the next generation of Democratic Party politics. And while Tuesday’s primaries saw mixed results for left challengers, and some races won’t be decided for days, that is a big win for the progressive movement. Last year, the battle between progressives and establishment Democrats for the “soul” of the Democratic Party focused largely around universal health care. That fight goes on, and Medicare for All has become a rallying cry for progressives, but it isn’t the only issue that’s reshaping Democratic politics in California and across the nation. 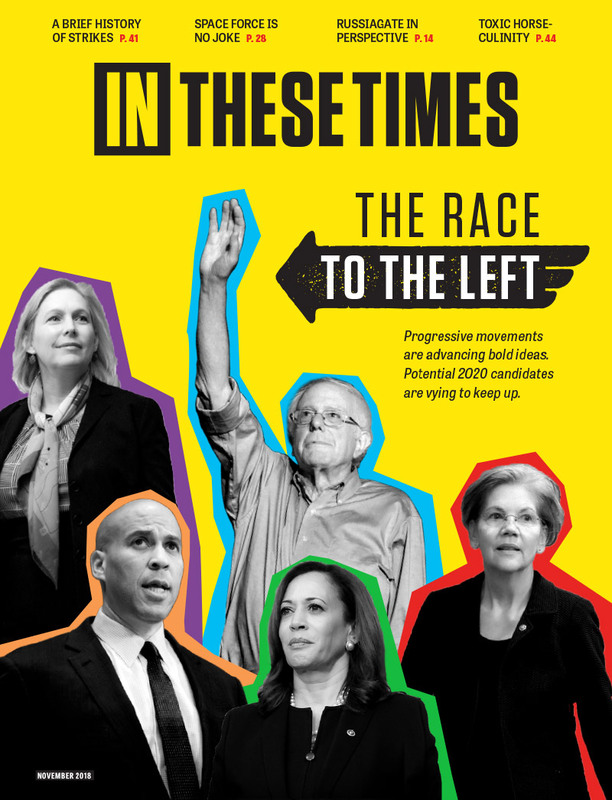 The Brookings Institution, which has been tracking Democratic campaigns this year, recently published a list of the issues most often talked about by both establishment and progressive Democrats. Healthcare is at the top of both lists while pre K-12 education sits in the top-five for both groups. The common ground on education is hardly surprising. But there is a twist in California, where the debate has gone beyond the usual, pro forma nod to the importance of early childhood education. It was actually a central issue in the Democratic primaries, gaining strong support from across the spectrum of the Democratic Party. For example, Gavin Newsom, the establishment Democrat who easily won the most votes in the gubernatorial primary, made support for universal pre-K, along with prenatal care, one of his key campaign promises. In the state legislature, meantime, there’s already strong momentum for change. The California Legislative Women’s Caucus, for example, has recently proposed a billion dollars of new investments in early childhood programs. The likely next governor and the legislature are, at least in their rhetoric, in complete harmony. This pivot matters—and it amounts to a defining moment for the future of Democratic Party—for two reasons, one philosophical and one practical. First, the battle for the soul of the Democratic Party isn’t just about where candidates stand on particular issues. It’s about whether the party has a broad vision for our politics and for whose interests should be served. 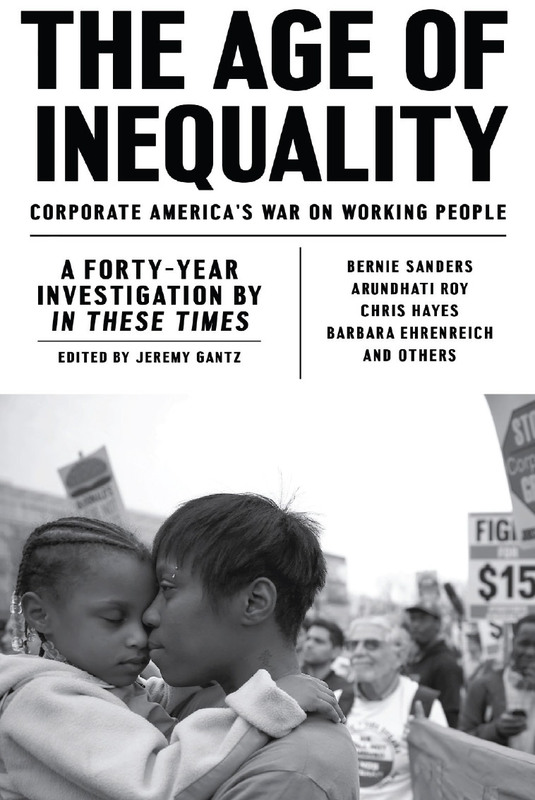 In a political system driven by campaign donations and the influence of wealthy donors and corporate PACs, the interests served are often those of the wealthy and corporations. That’s true among both Democrats and Republicans, and it’s the source of much of the anger among progressives towards the Democratic establishment. That’s the argument for progressivism in a nutshell. Valuing people over profit is the right thing to do, and it pays off the long run, whether in healthcare, economics or education. Such an argument can’t always overcome the deep corruption of our politics and the influence of special interests. But, it is a winning argument, politically. A poll of California voters last fall found that 70 percent considered early childhood education a high priority, putting it on par with public safety. The cost of health care was the number one voter concern, with 79 percent ranking it as a top or high priority. The practical reason that any of this matters is that California’s trajectory may very well be the nation’s trajectory. That’s true in the short term, especially since Democrats narrowly managed to avoid the worst-case scenario of not fielding a candidate in some House races. Under California’s primary rules, the top two vote-getters advance to the general election, regardless of party, and in several races the Democratic vote was divided among a large field of candidates. To win control of the House, Democrats need to pick up 23 Republican-held seats, and California has seven prime pick-up opportunities—seats in a district that voted for Hillary Clinton but are now represented by a Republican. Tuesday’s results in California featured good news for progressives in a number specific races. In the 4th U.S. House district, for example, progressive Jessica Morse (who promises to “be a strong advocate for universal preschool in our district’s school systems”) won the chance to challenge one of the most conservative House members, Republican Tom McClintock. In House District 45–widely considered a bellwether—a progressive who supports Medicare for All, Katie Porter, won the Democratic nomination over a candidate who campaigned on a more cautious agenda of improving Obamacare. But there is a much a bigger picture to keep an eye on, beyond the results of particular races and their implications this fall. Twenty years ago, California’s politics looked very much like our current national politics. With the support of both Republicans and Democrats, the state had recently passed major tax cuts that benefited the wealthy while starving the public sector, and it had adopted some of the most anti-immigrant policies in the nation. In truth, even in light of its recent transformation, California has never fully deserved its reputation as a bastion of progressivism. Its senior senator, Dianne Feinstein—one of the most conservative Democrats in Congress—should put that notion to rest for good. Feinstein will face a progressive challenger this fall, Kevin de Leon, but will likely win the race easily. On Tuesday, she received 44 percent of the vote to de Leon’s 11 percent. In California, in other words, we can see the outline of an alternative vision to neoliberalism and Trumpism shaping political debates—and the Democratic Party—on a statewide scale. The party still suffers from many deep-seated problems. It is, like our entire political system, awash in corporate money and largely run by elites. But not being naive about the state of play doesn’t require being entirely cynical. While we won’t know for decades what effect this progressive swing in California will have on our national politics, it does give plenty of signs of hope. California is leading in progressive ideals, and by a chain reaction will spread within all the states in time. Our Revolution have a chance to talk and organize on a grand scale to vote progressive politicians. They know that we're a threat to the establishment so they are circling the wagons in order to prevent us from advancing our message. I'm glad to finally read actual news. Odd that the MSM or corporate media didn't say anything about this. They continue to print and say that the DNC and RNC are still in full charge and that progressives lost big-time. I think your analysis of the Feinstein race is too quick and facile. yes, she received some 34 % of the vote and de León only 11 %, But, that was in a race with some 32 other candidates. In November there will be only 2. de León had the majority in the Democratic Party, and the majority of labor. She, of course, does have the money. It will be a difficult race, and hopefully a rising Latino electorate. Below from Harold Meyerson of the American Prospect.